Order with confidence! Crystal Clear has a Price Match Guarantee on its products and services, so you are guaranteed to get the lowest price. If you find a better advertised price for print jobs, such as business cards, postcards, flyers or brochures, with the exact same printing and finishing options we will match the price*. We want you to be pleased knowing that you are getting the best service, quality and price for your project. You can trust Crystal Clear with matched prices and unmatched quality and customer service. Fill in the specifications in the form below. Requirements: - Advertisement must be the exact same project specifications. - Finishing and trimming techniques options must be the same. - Copies of the unaltered advertisement or screen shot of the page, receipt or invoice with the lower price and details of the project specifications must be uploaded using the form or e-mailed to orders@crystalclearimages.com. - Crystal Clear reserves the right to refuse the Low Price Guarantee to anyone. Select Binding to add Perfect Bind Finishing to your Booklet, Manual, Novel, or Journal. 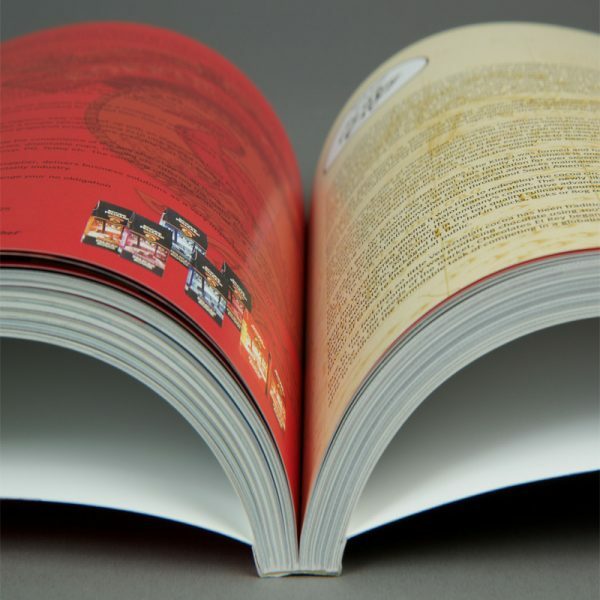 With at least 65 pages this creates a professional long last finish on your product. Please call us for volumes over 1000 Pieces.